We’re coming east from May 5 to May 18 and Wendy and I are VERY excited. It’s our favourite place to tour. We’ve got a full schedule of 15 shows. The schedule will be posted very soon when we confirm all the details. 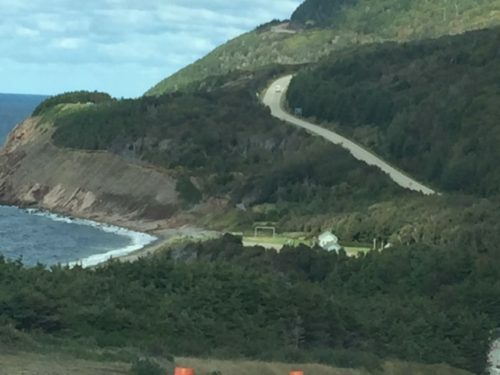 Cape Breton, along the Cabot Trail. Meanwhile, we also offer evening house concerts for grownups as Moore & McGregor. If you’re interested in hosting a house concert or in a local venue, visit mooremcgregor.ca for more info and to listen to some of our music. We are REALLY looking forward to our east coast tour. See you in May!